My husband and I spent two glorious weeks driving around Ireland – a bucket list trip for us in every way. 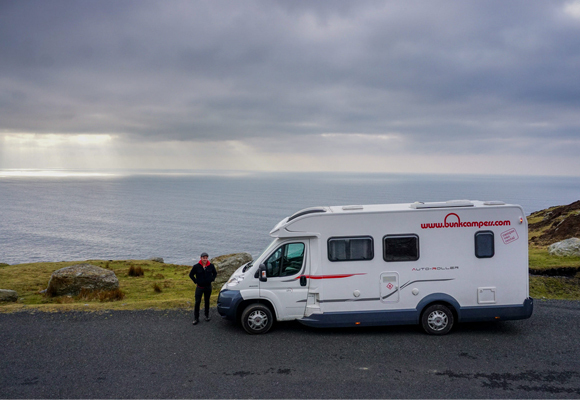 We decided to hire a campervan in Ireland from Bunk Campers (who have depots close to Dublin & Belfast airports) so that we’d have all the freedom to explore at our own pace, but with more than enough comfort. 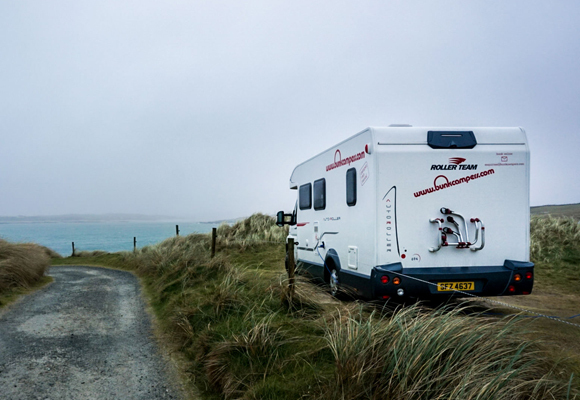 While each day in our camper brought incredible adventures and surprises, it was hard to narrow it all down, these are the top 10 moments we had over the two week journey along the Wild Atlantic Way! When we woke up in our campervan outside Galway and saw the sun was out, we immediately hit the road south to go to the Cliffs of Moher. 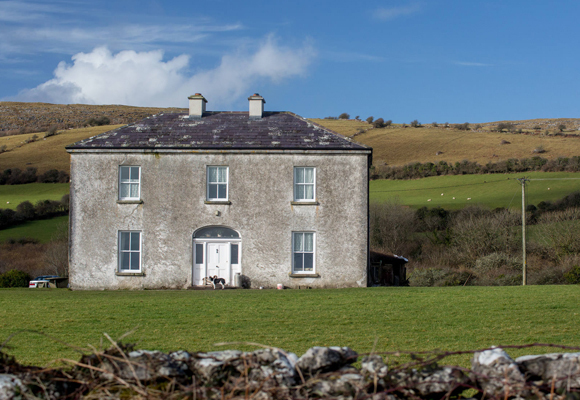 Along the way, my husband mentioned he’d like to see the Burren, and find Father Ted’s house, a favourite TV show of his. With the freedom of a campervan, we were able to do just that. A local told us about Matt Malloy’s. We knew of the Chieftains and research showed us that Westport in general is a great place for live music, but we were completely blown away by the quality and intensity of the band that night. 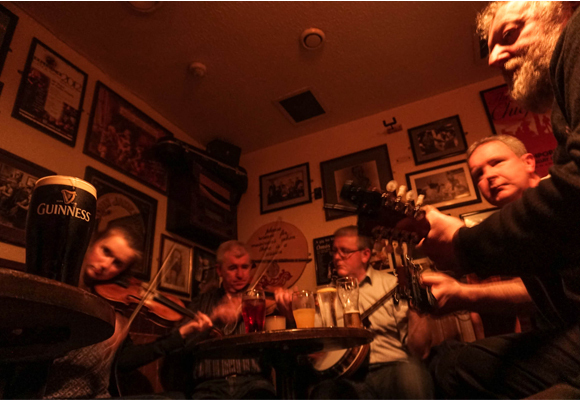 We sat there until the lights came on, having made friends with a few locals, especially one wildly outspoken woman, Fidelma, who took us into her charge that night (which meant lots and lots of Guinness and even more stories!). Luckily our van was parked up around the corner, so getting home, even at 3am, was safe and easy. 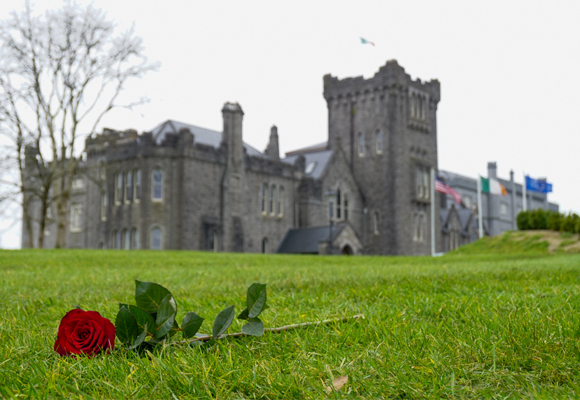 While we adored our campervan, we did get to splurge and have Valentine’s Day at a bonafide castle: Kilronan Castle. A Downton Abbey vibe to the max left us with pretty much the best Valentine’s Day memories ever! While we were eager to hit the road again in the morning, it was a night we will be bragging about probably well into our old age. After the drive down from Giant’s Causeway, we toured around Donegal Town and the Slieve League, but ended up camping just south of the city at Rossnowlach Beach. The beach surprised us – it was massive, long, flat and wide, with soft sand and waves fit for surfing. 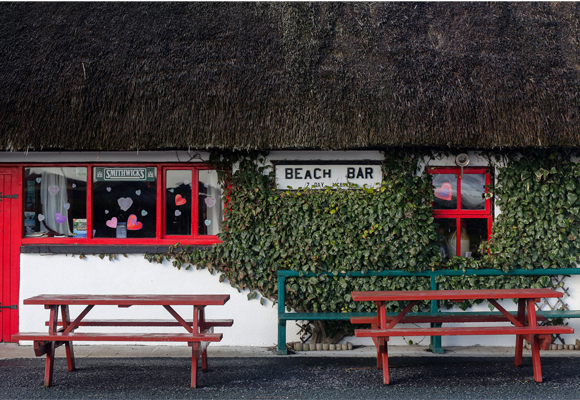 Not what we naïve travelers had expected from beaches in Ireland. Thanks for proving us wrong! Insanely high winds and angry grey skies were a great excuse to cosy up in our campervan and make use of all the excellent facilities we had. Our camper was the Vista Plus – which had plenty of space, a full kitchen, washroom with a very hot shower and really nice seating area. We made nachos in our oven, cracked into our craft beers, played cards and watched Netflix (we even had Wi-Fi on board!). It was actually a memorable night, just the two of us, full and warm, cozied up to a movie while the storm raged outside. Sliabh Liag, Mullaghmore Head, Famine Memorials, and Croagh Patrick to name a few. 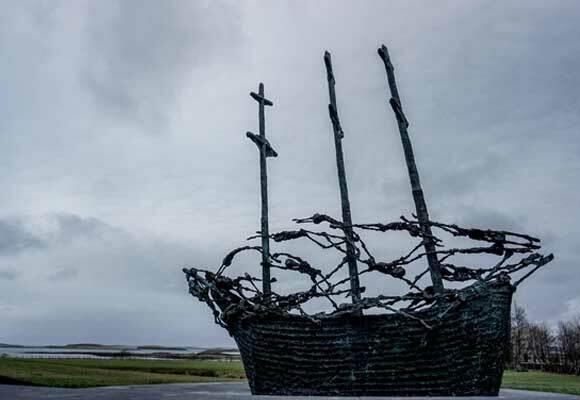 While guidebooks abound, there was something exciting about just looking further down the road on the Wild Atlantic Way App and see what gems lay ahead. Castles, historic homes, abbeys, megalithic sites, pubs and local shops, viewpoints, beaches, pubs – you name it. 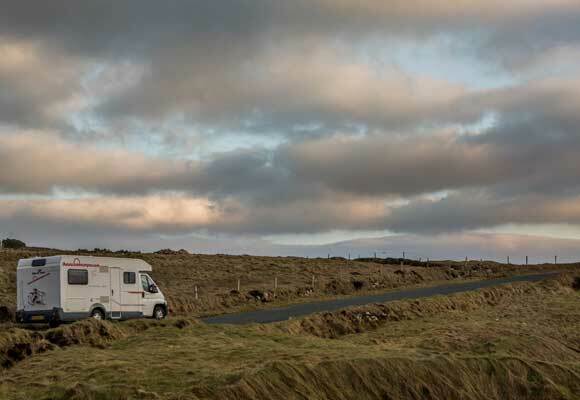 Between this app, and the freedom of our campervan, we could pick a spot, and head straight there knowing we had everything we needed on board – and no schedule! We really fell in love with Sligo town. From the dramatic landscape, to the poetic roots (think William Butler Yeats) that obviously inform parts of the city’s culture, to the lovely cobbled lanes and mostly local, small shops, to the bridges crossing the river back and forth … all of it really lended to a perfect atmosphere for us. Not to mention the many pubs! At the end of the day we parked our camper for the night at Beach Bar Sligo, tilting back pints of Guinness over cards before looking a late dinner and falling asleep to the sound of the waves crashing outside our door. 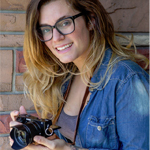 As a freelancer, I work all the time, but from anywhere. 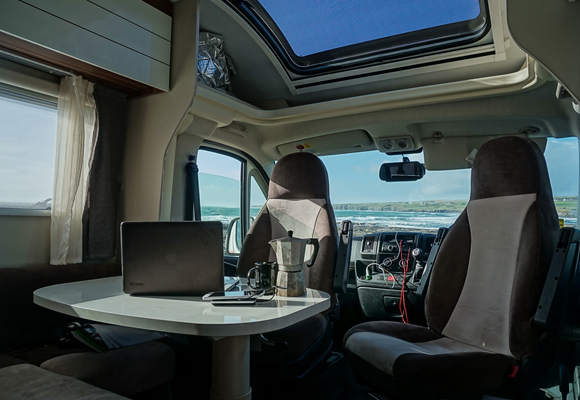 The glory of the campervan was that I could get to work in the most amazing of locations. The seating area was large and comfortable so I could spread out my laptop, journals, and several cameras to make sure I was all caught up. Even when not hooked up at a campsite I was able to keep up; I would just charge my devices at a cafe during the day or at a pub at night. Easy! While I hope you don’t have to work during your trip to Ireland, it’s nice to know you can if you need to! Not only was it a new adventure every day, but we also knew nothing was too far. We could take as long as we wanted on the smaller roads, or save time on the larger ones, and nothing was very far apart . The Vista Plus can do almost everything off of propane – heat the shower, cool the fridge, fire up the stove, even provide the floor heating! So for this reason, we could set off each day not even knowing where we’d end up but with the security of knowing we had it all with us. 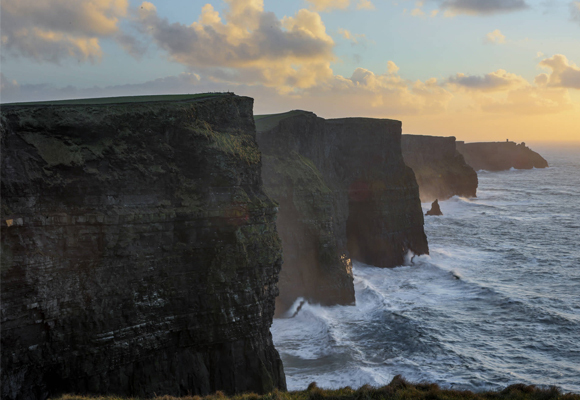 We’d heard so much about the Cliffs of Moher that we were worried it was all hype. I’m here to say it was not – the cliffs were unlike anything I’d ever seen before. We lucked out and got a very sunny day which led to a very dramatic sunset. Because we had the campervan, we were in no rush to get anywhere in particular and stayed until the very end of the day. It was the final day of our trip and I cannot imagine a better closing to our time in Ireland!